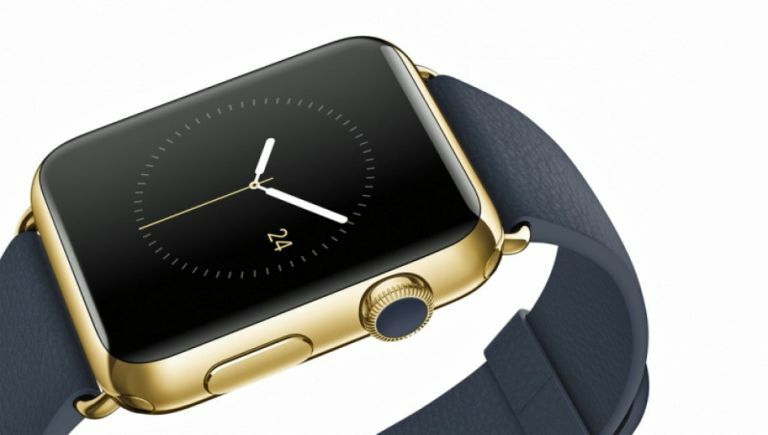 The Apple Watch doesn't just have one face, it has many. Naturally, most of the faces can be customised so that they display the information that you are likely need – from day to date, and even the phases of the moon. In watch circles, this extra information is called Complications and Apple Watch faces don't disappoint; there are several different faces you can choose from that have configurable information (our favourite is Utility). You can swap between any of the Apple Watch faces whenever you like. To do this, all you have to do it simply press firmly on the currently displayed face (in an action known as a Force Press) and then swipe left to view the Faces gallery. Scroll through them, and when you find one you like, press again to select it. The faces that your Apple Watch ships with are just the beginning - there are bound to be plenty more as the Apple Watch ecosystem continues to grow. Based on traditional analogue watch faces, Chronograph displays two different hands: one for total time and one for lap times. It also includes a customisable timescale, and of course, you can add your own Complications. This simple watch face can be almost infinitely customised. You can use the Digital Crown to choose a colour that best matches your mood, and on top of that you can add your own Complications for that extra added personal touch. It's great to see Disney's most famous character on the Apple Watch. Mickey taps his foot every second, and the Apple Watch is so accurate that even if you were to put a whole bunch together, each Mickey would keep to the beat perfectly. Oh boy! This highly customisable face uses a grid structure that allows you to add all kinds of Complications to the screen. And when you tap on each one, you're taken straight to the relevant app for even more information, which can only be a really useful thing. The Motion face is one of the most beautiful things you'll find on the Apple Watch. That's because Apple has created three separate animations of butterflies, flowers and jellyfish that are more realistic than you might first believe. That's because Apple went to the extraordinary length of taking thousands of individual stills of each of the objects and then stitching them together to create a stunning time lapse sequence. So when you see the butterfly beating its wings; the flower opening and closing and the jellyfish swimming in time to the actual seconds ticking by, what you're seeing is a real, organic object slowly manifesting itself in front of you. Take the flowers: Apple took 24,000 separate shots over several months to get the look and feel it wanted. And if that's not attention to detail, we're not sure what is. The end result of all Apple's efforts is certainly worth it. In watch OS 2 we also got the new Photo Face that enables you to choose any image from your Photo Stream, and set it as a watch face. You can crop, and zoom into the image, to make sure it looks just right. Apple worked with astronomers to create this incredible face, which shows the solar system and the relative position of the planets, sun and moon, simply by rotating the Digital Crown. You can even view this groovy orrery by day, month or year. There's also a Moon version of this face. The clean lines of this face are great if you prefer a minimalist look. And they remain so even when you add Complications. You can also customise this face by changing its colours too. One for people who like their watches to look like watches. No matter where you are in the world, this face enables you to see the sun's position relative to your current location. And by turning the Digital Crown you can also track the sun's position over time… all the way from dawn to midnight. There's also five new Time-Lapse faces featuring stunning real-life animations of iconic locations, such as London and New York. With the ability to add three separate Complications, this face is as practical as it is good-looking. Naturally you can customise the default colours too, while tapping on a Complication immediately takes you to the relevant app for more detail. Oh, and don't forget Nightstand! What's more, we might get more faces soon with watch OS 3. And don't forget to check out Apple's Watch Gallery, which enables you to see what your chosen face will look like with your own strap and case finish.